St Mary’s is part of the Benedictine Abbey site in the Historic Core in Bury St Edmunds. It is also the Civic Church of the Town and Borough. 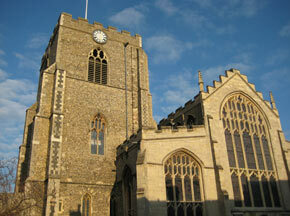 The church is Bury St Edmunds’ hidden treasure. It claims to be one of the largest parish churches in England, to have the second longest aisle and the largest west window. It is the final resting place of Mary Tudor, Queen of France, Duchess of Suffolk and favourite sister of Henry VIII (after whom the Mary Rose was named). The church is renowned for its magnificent hammer-beam Angel roof, It contains a wealth of 15th century woodcarving and outstanding examples of stained glass. 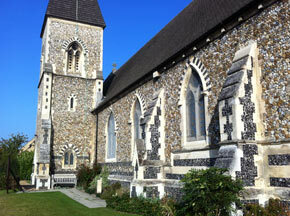 St Mary’s is also home to the Chapel of the Suffolk and Royal Anglian Regiments. St Mary’s is open Monday – Saturday from 10:00am – 4pm (3pm in the winter). Admission is free, and we welcome amateur photographers.